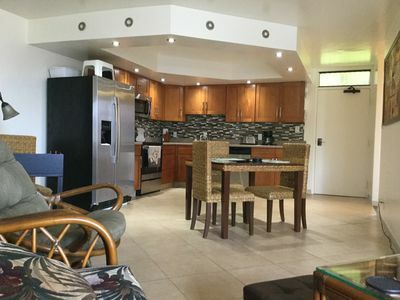 Literally sitting at the waters edge, this elegantly furnished and tastefully designed ocean front condo is so close to the shore you almost feel like you can reach out and touch the water. 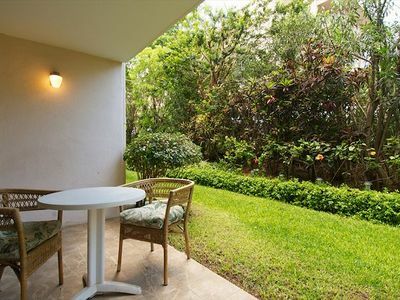 It has an ocean view from every room except the guest bedroom which overlooks lush tropical gardens. 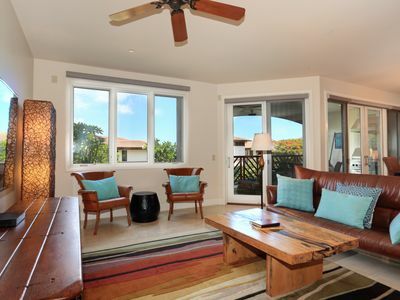 The master suite has its own private lanai where you can sit and watch whales, turtles or dolphins, the sunset or enjoy your morning coffee. 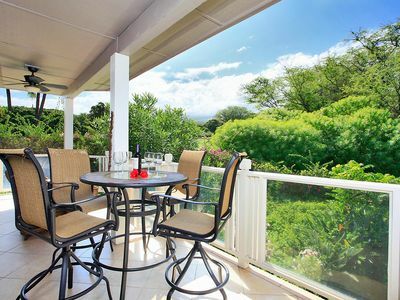 This is a perfect condo for families, 2 couples or a romantic get away with your loved one. 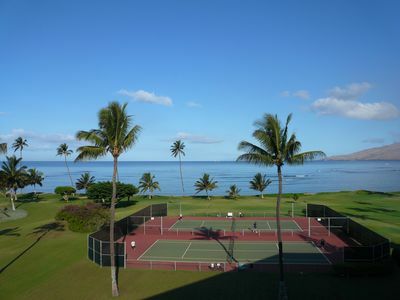 This exclusive unit offers unsurpassed views making it truly one of Makena Surf's best. 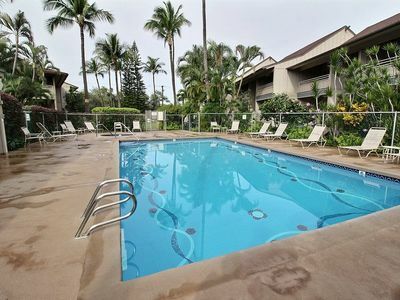 Unlike other condos, this one has been redesigned to take full advantage of its prime corner location. The living room, dining room and kitchen have been opened up into one spacious Great Room offering incredible panoramic ocean vistas. 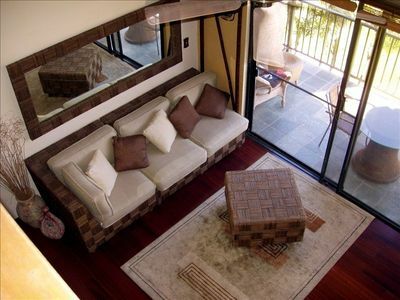 Floor to ceiling sliding glass doors recess into the walls expanding the living area out to the spacious lanai. 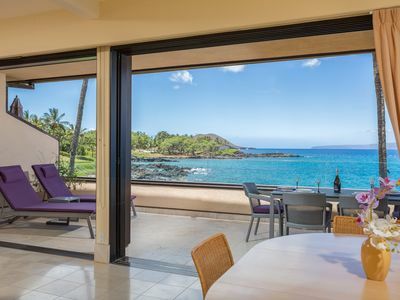 Numerous large windows open to the sea with the islands of Kahoolawe, Molikini and Lanai beyond. 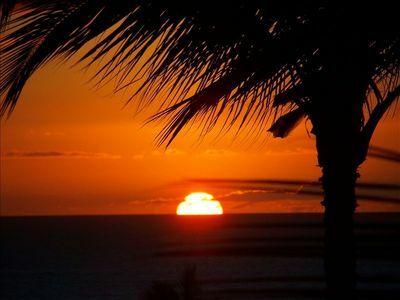 Breaching humpback whales, sea turtles and spinner dolphins frequent the waters below. 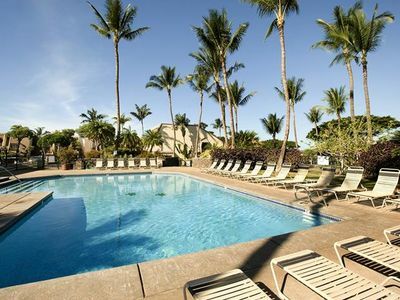 Nestled between half mile long Po'olenalena beach and secluded Chang's beach, you'll be just steps away from some of Maui's best swimming, snorkeling, diving and kayaking. 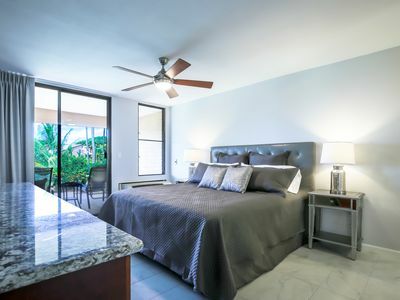 The condo is fully upgraded with granite counter tops, limestone tile floors, contemporary furnishings and modern appliances. 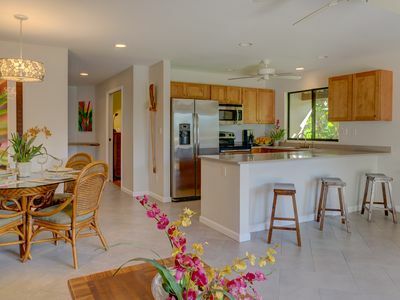 The generous 1,420 square foot floor plan offers a sense of spaciousness. 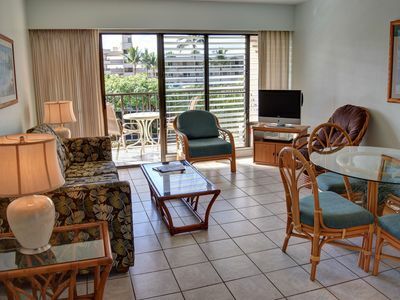 The master suite has a King size bed, private ocean side lanai and it's own private bathroom with 2 sinks, a walk in double headed shower and bidet. 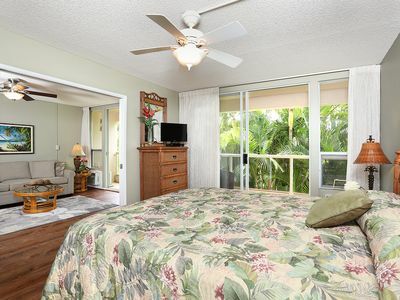 The guest bedroom has 2 twin beds that can be converted to a king and is situated to provide privacy. 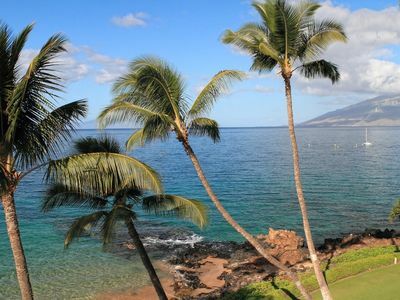 It is surrounded by some of Maui's best beaches. 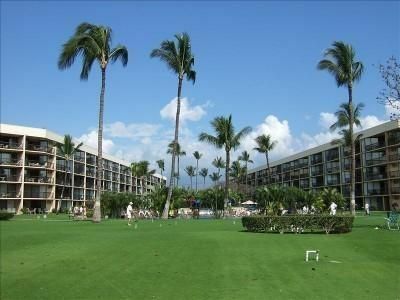 World class golf at the Wailea Gold course lies just across the street, with the Wailea Blue and Emerald and Makena courses nearby. 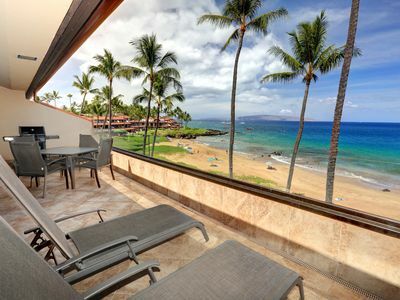 Shopping at The Shops at Wailea and fine dining are all within a few minutes drive. Click on the video icon above the photo at the top of this page to see more of this unique property. 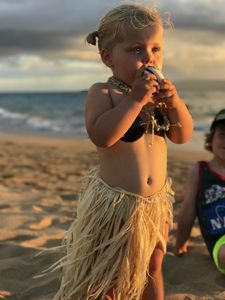 This is the perfect island getaway for the discerning guest who wants First Class ocean front accommodations with incredible views, full amenities, secluded beaches, serenity and privacy. !!! 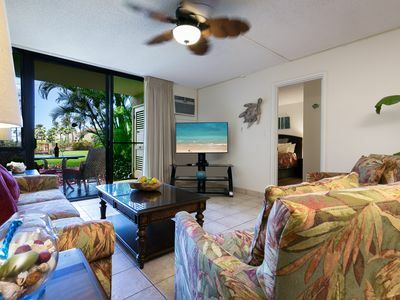 DELUXE OCEAN FRONT CONDO !!! 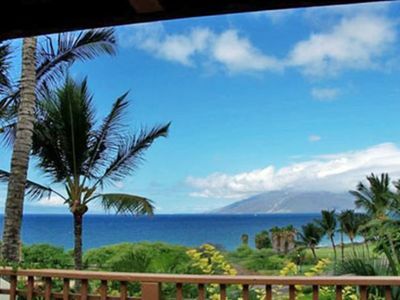 The best of Maui Sunset, HUGE private lanai view deck. 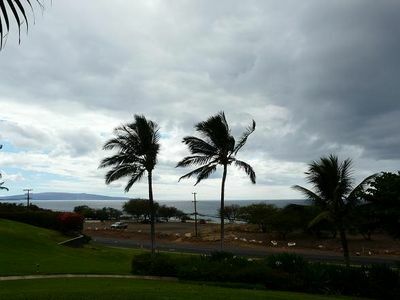 Sweeping 'Wow' Ocean View - Desirable 'G' Bldg .